CARR is committed to supporting and promoting literacy research conducted in Connecticut. To that end, CARR’s Annual Research Breakfast is being expanded upon this year to include a select poster session. We are putting out a call for poster proposal submissions to be displayed at our annual event. APPLICATIONS MUST BE RECEIVED ON OR BEFORE MARCH 30 TO BE CONSIDERED. Please include CARR Research Poster in the subject line. Late or incomplete applications will not be considered for review. Applicants will be expected to attend the research brunch which is included in the $30.00 registration fee. The poster session will be scheduled for the first 45 minutes of the event on April 27, 2019. This Action Research study examined the implementation of Integrated Writing as originally described by MacArthur, Graham & Schwartz (1993) in order to investigate the teacher’s ability to refine instructional planning strategies in a seventh grade urban, English classroom. Utilizing a Mixed Methods Action Research study, the teacher-researcher collected both qualitative and quantitative data during two four-week instructional units that involved status checking, mini-lessons, student writing, peer and teacher conferences, and group sharing of published student writing. Two iterations of data were analyzed for the inclusion of argumentative elements in the students’ writing, and data samples were coded for cognitive complexity through analysis of their levels of depth of knowledge (Webb, 2005). This study showed the effectiveness of using the Integrated Writing intervention in promoting students’ ability to write effective cognitively complex arguments on a blogging site. The urban district where the study took place had adopted many new initiatives to address the shifts in the Common Core State Standards (2010); however, a significant decline in writing scores had been recorded in the district. Results noted on the school’s strategic school profile demonstrated improvements in reading; however, writing scores continued to decline, signaling the district to look for initiatives to improve student writing. For instance, beginning with the performance of seventh-graders, 60.4% of students scored proficient in reading, while a mere 39.9% of students in the district scored proficient in writing (CT Online Reports, 2012). Reports about the Smarter Balanced Assessment scores noted that “26% percent of city students reached targets in the ‘English/Language Arts’ portion of the test taken last school year” (Puffer, 2015, p. B1). Local data reflected that the urban district for the site of this study was significantly behind the state average. These scores signaled the importance of a change in instructional practices for teaching argumentative writing. The purpose of this Action Research study was to investigate the teacher-researcher’s instructional skills and strategies when shifting towards the Common Core State Standards (2010) designed to impact student argumentative writing instruction. The purpose of the Action Research study was twofold: first, to determine if implementing technology-based curricula across content areas using instructional strategies improves students’ cognitive complexity in argumentative writing, and second, for the teacher-researcher to improve her own teaching and research praxis. The theoretical underpinnings for this study were based on theories about argumentative writing and teacher self-efficacy that emphasized teacher planning and reflecting to refine instruction. Utilizing sociocultural learning theory (Vygotsky, 1978) and social cognitive theory (Bandura, 2001), the researcher formulated the research question and the study design. Bandura’s (1986, 1993) focus on self-efficacy shows that self-reflection is the capstone to improving self-efficacy (Bandura, 1986). According to Bandura (1986), people with a strong sense of self-efficacy see tasks they cannot do as challenges, not threats, with four factors influencing efficacy: mastery experience, vicarious experience, verbal persuasion and somatic and emotional state. The foundation of 21st century learning skills utilizes collaboration as a main component for preparing students to be career and college ready (Partnership for 21st Century Skills, 2006). In the present research study, social cognitive theory (Bandura, 2001) and sociocultural learning theory (Vygotsky, 1978) complemented argumentation theories when using instructional strategies that improve argumentation. The intervention of integrated writing (MacArthur, Graham & Schwartz, 1993) was chosen for this study because it incorporated collaboration, writing and reflection. To guide teacher-student conferences, the teacher-researcher created a Cognitive Complexity Checklist with level four categories of complexity based on three epistemologies in instruction on argumentative writing, as found by Newell, VanDerHeide, & Olsen (2014). Newell et al.’s study focused on the ways that writing teachers approach argumentative writings. Newell et al. conducted thirty-five in classroom case studies and found that teachers instruct by using one of three epistemological approaches to argumentative writing; structural (standards based), ideational (students connect and synthesize) or social practice (students collaborate and debate). Newell et al. recommend that argumentative instruction is most successful when teachers connect the three epistemological approaches. This was a Mixed Methods Action Research study, with two iterations of research. The location site was a general education urban middle school located in Connecticut, comprised of 85.4% students eligible for free and reduced lunch; the total enrollment is 1206 students. The middle school was divided into three houses; each house has sixth to eighth grade students. Each teaching team had a social studies, science and math teacher, and two reading and language arts teachers instruct the students in a ninety-minute block. The rationale for the study of student writing in the district was that the seventh-grade scores on standardized tests were low; only 23% of seventh-grade students attending the middle school had met goal on the state’s standardized writing assessments (State Department of Education 2010-11). The participants were from a seventh-grade middle school classroom and chosen out of a convenience sample; the researcher was the teacher in the classroom. There were eighteen student participants selected for the study. The students were grouped heterogeneously, none identified as eligible for special education services. The teacher-researcher instructed students during two, four-week argumentative units with the Integrated Writing intervention. The integrated writing intervention (MacArthur, Graham & Schwartz, 1993) that the teacher-researcher utilized in the classroom involved five steps to instructing writing: (a) status-checking, (b) mini-lessons, (c) student writing, (d) peer and teacher conferences, and (e) group sharing of publishing. Integrated writing follows a specific, daily structure of classroom lessons for students with and without disabilities in writing. Figure 1: Argumentative Questions, Stasaitis, 2016. Should soda and candy be a part of the school lunch? Should you think twice before eating fast food? Do uniforms affect student learning? Is technology helping or hindering? Should cell phones be banned in school? Do Videogames and TV lead to violence? Students utilized a blogging site, KidBlog as a way to collaborate with each other in an online environment. The students in the sample responded weekly to their peers’ blogs by leaving a blog comment. The teacher-researcher recorded student inclusion of argumentative elements in weekly student blogs during two iterations of research. Quantitative data was tracked on a researcher-created checklist with the categories from Webb’s (2005) Cognitive Complexity to measure student inclusion of cognitive complexity in their argumentative blogs. The theoretical themes (Glaser, 1978) that the teacher-researcher used to code the blogs and blog comments were design, connect, synthesize, apply concepts, critique, analyze, create and prove. Descriptive statistics (Hendricks, 2013) were employed. The components of the intervention package were revised after the teacher’s deep reflection on Iteration 1. The conferences became the center of the intervention and tied the status-checks, mini-lessons, student writing and group sharing together during Iteration 2 of instruction. The teacher embedded the components of the intervention package in order to seamlessly connect them into one instructional vehicle and placed an importance on the student drafting and revision process as seen in Figure 2. Figure 2: Iteration Revision, Stasaitis, 2016. The results in Tables 1 and 2 indicate improvement in student cognitive complexity after a revision to the intervention instruction after Iteration 1. The descriptive statistics employed were supportive of the teacher refining instruction to place emphasis on the drafting process of writing through conferences. Qualitative data was supportive of the students expressing that collaboration was essential to their learning processes. Cognitive Complexity Frequencies, Iteration 1, Stasaitis, 2016. The limitations in this study included the small convenience sample and the inability to generalize findings and results about the population of the research site. The intended impact of this study was the improvement in instruction of argumentative writing and the growth of demonstrated student cognitive complexity, as evident in measures on the continuum checklist. A contemporary spin of this research is the utilization of classroom writing blogs for providing peer feedback about student writing additional and the use of online technologies for teaching writing in middle grade classrooms. The results indicate improvement in student inclusion of argumentative elements after a revision to the intervention instruction after Iteration 1, particularly for the ideational categories. The results indicate that the Integrated Writing intervention was effective in improving students’ argumentative writing. A key difference, however, between Iteration 1 and Iteration 2 was the emphasis of collaboration and conferencing to support students’ writing. The feedback that the students gained from the teacher and from their peers helped the students in writing more effective argumentative blogs. In addition, the cognitive complexity of the students’ writing increased, as evidenced by data from week 4 of Iteration 2. However, it should be noted that a limitation in interpreting the results of this study is the small convenience sample; it is difficult to generalize the findings based on the population of the students at the research site, and additional studies would need to be conducted with larger populations in other demographic sites to see if similar conclusions can be drawn. However, for this population students expressed that collaboration was essential to their learning processes. In conclusion, the intended impact of this study was the improvement in instruction of argumentative writing and the growth of demonstrated student inclusion of argumentative elements, as evident in measures on the argumentative checklist; this was clearly demonstrated through the Integrated Writing intervention and the use of online technologies for teaching writing in middle grade classrooms. Bandura, A. (1993). Perceived self-efficacy in cognitive development and functioning. Educational Psychologist, 28, 17-148. Bandura, A. (2001). Social cognitive theory: An agentic perspective. Annual Review Psychology, 52, 1-26. Education Week’s Quality Counts (2014). Report retrieved from http://www.edweek.org/ew/qc/2014/state_report_cards.html. Hendricks, C. (2013). Improving schools through action research: A reflective practice approach (3rd ed. ).Upper Saddle River, NJ: Pearson Education, Inc.
Hillocks, G. (2011). Teaching argument writing, grades 6-12: Supporting claims with relevant evidence and clear reasoning.Portsmouth, NH: Heinemann. MacArthur, C. A., Graham, S., & Schwartz, S. S. (1993). Integrating strategy instruction and word processing into a process approach to writing instruction. School Psychology Review, 22(4), 671-681. National Center for Education Statistics (2011). The nation’s report card: Reading 2011. (NCES 2012–457). Washington, D.C.: National Center for Education Statistics, Institute of Education Sciences, U.S. Department of Education. National Governors Association Center for Best Practices & Council of Chief State School Officers. (2010). Common Core State Standards. Washington, D.C.: Authors. Newell, G., Van Der Heide, J., Olsen, A.W. (2014). High school English language arts teachers’ argumentative epistemologies for teaching writing. Research in the Teaching of English, 49(2), 95-119). Retrieved March 12, 2015 from http://www.ncte.org/journals/rte/issues/v49-2. Partnership for 21st Century Skills (2007). 21st century learning environments.Retrieved January 11, 2014 from http://www.p21.org/route21/images/stories/epapers/r211eepapers.pdf. Puffer, M. (2015, October 1). Smarter Balanced scores. The Republican American Newspaper. Retrieved January 11, 2015 from http://www.rep-am.com/. Toulmin, S.E. (1958). The uses of argument. Cambridge, England: Cambridge University Press. Vygotsky, L.S. (1962). Thought and language. Cambridge, MA: MIT Press. (Original work published in 1934). Vygotsky, L. (1978). Mind in society: The development of higher psychological processes. Cambridge, UK. Harvard University Press. Webb, N. (2005). Web alignment tool. Wisconsin Center of Educational Research. University of Wisconsin. Compiled by David Dockterman, Ed.D. In 2005, the National Association for Secondary School Principals published a report (Creating a Culture of Literacy: A Guide for Middle and High School Principals) that describes the major deficit in the literacy achievement of United States’ secondary students. Direct literacy instruction that might address this glaring deficit ends, in most cases, at the third grade. Historically, the teaching of reading has been one of the most critical, and perhaps challenging responsibilities of educators in schools around the world. In the U.S. 30% of all students are not graduating from high school, and 75% of all students with literacy problems in the third grade will still experience literacy difficulties in the ninth grade. Since 2010, a promising, though somewhat controversial educational reform initiative in the United States has been the development of the Common Core State Standards (CCSS) in the English Language Arts and in Mathematics, and other content areas (National Governors Association Center for Best Practices, 2010). The common K-12 standards are intended to define knowledge and skills so that upon graduation students are college and career ready. The successful implementation of the CCSS necessitates the creation of cultures of literacy in schools in which all stakeholders, including teachers and leaders, are working together to improve the teaching of reading from PK-12 grades. Forty-two states have adopted the Common Core State Standards. Much direction for implementation of the CCSS in Connecticut is coming from the Connecticut State Department of Education (Pryor et al, 2012; Pryor, 2014). Most notable is encouragement for the creation and use of professional learning communities (PLCs) as a strategy to support implementation. The intention is that schools and districts will move towards establishing cultures of literacy.In this article, we provide a hitorical overview and examine the interface between federal policy and the development of the CCSS. We describe the results from Year 2 of a three-year study that is designed to ascertain perceptions of Connecticut teachers and administrators regarding the implementation of the CCSS. During Year 1 (the pilot year), we used a 48-item instrument adapted from the Common Core Feedback Loop to collect baseline data about respondents’ understanding of the literacy standards and perceptions of supports for implementation of the standards. In Year 2, we fine-tuned the survey instrument, based on responses during the pilot year, and disseminated the survey throughout the state of Connecticut. Of particular interest is how leaders are creating a culture for enhancement of literacy. The primary goal of this research project is to enhance our knowledge of leadership practices in support of a culture for literacy in ways that address significant literacy achievement challenges. In particular, we are interested to learn how educators and educational leaders are addressing the reform initiative that requires the implementation of a new set of learning standards in schools across the nation. While educators appear to be committed to defining expectations of what students should know and be able to do (EPE Research Center, 2013), there appear to be varying reactions to the national standards that have been established, to supports that have been provided for teachers to learn to implement them in the classroom, and to assessment systems that measure the integration and impact of the standards on student learning (Gewertz, 2011). This historical review traces trends and provides a context leading up to the birth of the CCSS initiative. Traditionally, a tension has existed between local governance and federal control of schools. While local governance is considered a constitutional right by virtue of the interpretation of the Tenth Amendment, one can trace the increasing impact of federal policy on reading instruction and, in the case of the focus of this article, how it interfaces with the development of the CCSS. The Education and Secondary Education Act (ESEA) was the first legislation that provided monetary incentives to states to improve the academic achievement of low-income families and to redress educational inequality among “minorities”. The ESEA was an important component of President Lyndon Johnson’s War on Poverty. Compensatory programs such as Head Start and Title I (Chapter I) were intended to provide more and better educational services to move the poor out of poverty, to ensure equity in educational opportunities, and to safeguard compliance with civil rights policies. Over the next three decades these programs grew extensively and were increasingly funded and accompanied by a demand for increased measures of accountability. Policies moved from targeting categorical groups in order to close achievement gaps to impacting all students. Funding for these programs provided needed resources to enhance reading instruction for all students. In the 1980s Title I programs came under fire as demonstrated by a review of test scores and an examination of its overall efficacy. Allington (1984) argued that policies constrained effective reading instruction. He suggested redesign in areas such as its delivery, curriculum, instructional time, instructional focus and student evaluation. He called for a focus on research-based reading instruction and admonished reading professionals for too little involvement in conducting systematic investigations. The revamping of Title I programs from pull out to push in programs provided an entry point for districts to use funding to benefit reading instruction for all students. In this same era the whole language movement, a holistic learner-centered philosophy guiding literacy instruction, was at its peak. Pushback to this approach came in a variety of forms. There was a great deal of politicized debate focusing on whole language versus phonics instruction, referred to as the Reading Wars. The Center for the Study of Reading under the sponsorship of the National Academy of Reading published a report, Becoming a Nation of Readers (Anderson et al, 1983), which provided a thorough synthesis of existing research and implications for reading instruction. This report underlined the importance of teaching phonics and its inclusion into reading instruction in a balanced way that did not polarize or politicize the debate. Congress provided a grant in 1989 to the Educational Testing Service to expand the National Assessment of Educational Progress (NAEP) to compare results of student performance in reading and mathematics and writing across grade levels and states. At that point California’s state level curricular policies were holistic and this was a source of controversy. The NAEP Assessment of 1992 tested 4th and 8th graders and found that California scored at the bottom of the tested states in reading achievement. This provided fodder for the phonics proponents and helped to propel the accountability movement through development of yearly statewide standardized assessments and scientifically research-based instruction. During this time legislated reading programs were in place. Shanahan (2011) described the programs and provided a timeframe of federal literacy and language programs impacting reading instruction from the 1960s-2009. Related to the standards movement was the National Voluntary English Language Arts Standards. In 1992 The National Governors Association called for specific learning standards to be used to enforce accountability. The US Department of Education contracted with the University of Illinois at Champaign-Urbana, and with two professional literacy organizations, the International Reading Association (IRA) (now International Literacy Association, ILA) and the National Council of Teachers of English (NCTE). A great deal of controversy surrounded the development of these professional standards. The Department of Education argued that the resulting standards were too broad and did not define what learners should know and be able to do in various literacy domains across grade levels. Funding for the standards was pulled in 1994. However, ILA and NCTE still published these professionally developed voluntary standards, and they are currently being revamped. The 1994 reauthorization of ESEA, The Improving America’s School Act (IASA) required states to adopt their own high standards for all students. For Title I schools there was an expectation of high quality teaching and professional development to ensure low achieving students in high poverty areas would meet challenging standards. Accountability was built in through the use of state developed standards and assessments for all children (Riley, 1995). Varying standards at different levels of difficulties across states made it difficult, however, to enforce accountability. The No Child Left Behind legislation was enacted in 2002 to institute high stakes testing with incentives and sanctions for not meeting Adequate Yearly Progress (AYP). The AYP component of NCLB required that states use a single accountability measure to determine if individuals and subgroups of students were making adequate progress on state standards (Editorial Projects in Education Research Center, 2011). States were to hold districts and schools accountable for meeting AYP with the goal of 100% proficiency by 2014. Additionally, NCLB embraced scientific research-based instruction based on the findings of the National Reading Panel (NRP, 2000). In 1997 the NRP was formed by the National Institute of Child Health and Human Development (NICHD) and the Department of Education. The panel established criteria by which to select scientifically worthy studies and identified topics with feedback from regional public hearings. Debate and controversy surrounded the National Reading Panels’ process as well as the determination of what counts as scientific research. The NRP Report has had a tremendous impact on what is considered its narrow focus on reading instruction in its identification of the five “pillars’ of reading instruction. Research-based practices were identified that provide benefits to learners in the areas of phonemic awareness, phonics, oral reading fluency, vocabulary, reading comprehension and professional development for teachers (NICHD (2000). Critiques of the National Reading Panel often center on what was ignored in their review. Allington (2005) identifies and cites research on the “other five pillars” of reading instruction that were neglected, and of the dismissal of quasi-experimental studies that were not easily codified, and as such may have been lost to history. In 2002 the No Child Left Behind Act (NCLB) required instruction based on the findings of the NRP. Shanahan (2011) notes that “the NCLB enactment mentions scientific based reading research more than 100 times” (p.155). Criticism of the NCLB Act revolved around a range of issues including the AYP design in which the rigor of standards varied from state to state. Once again differing standards across state mitigated accountability efforts. Shanahan (2011) argues that states were not encouraged to generate competitive standards due to sanctions in place if they failed to meet them. Others argued that the goals of AYP were too stringent and unrealistic and would set up schools for failure (Center on Educational Policy, 2004, as cited in Editorial Projects Research Center, 2011; Cronin, 2004). Cost was another issue in the implementation of the law, and some contended that the federal government was not contributing its share to meet their mandate (Orfield et al., 2004 as cited in Editorial Projects Research Center, 2011). Other criticisms address the impact of high stakes testing and its relationship to teacher turnover (Ingersoll, Merrill & May, 2016), and the impact of test preparation on curriculum and student learning and engagement. The CCSS emerged in response to standards developed in states that were deemed to be “lower and uneven …. coupled with even lower assessments in many states” (VanTassel, 2015, p.60). With the reauthorization of NCLB, The National Governors Association (NGA Center) and the Council of Chief State School Officers (CCSSO) led the development of the Common Core State Standards (CCSS). Four billion dollars provided by Congress as part of the American Recovery and Reinvestment Act (ARRA), were used to fund Race To The Top (RTTT) grants (U.S. Department of Education, 2015). Competitive rounds of grants were issued to challenge states to adopt college- and career-ready standards for all students, develop assessments aligned with the CCSS, provide student data systems for accountability, and link teacher evaluation to student performance on standardized tests. Shanahan (2011) explains that since Title I funds have been broadly distributed and combined with general education money to support reading instruction for all students, districts are reliant on them to fund reading instruction for all students. Moreover, he indicates that under ESEA, originally designed to force compliance with civil rights laws, the federal government has the power to withhold funds for noncompliance to educational policies. In this way federal policies regarding literacy can be used to influence literacy education. In December 2015, the Every Student Succeeds Act (ESSA) was passed, replacing the No Child Left Behind Act which takes effect in the 2017-2018 school year. With the passage of ESSA, the US Department of Education is now prohibited from attempting to, “influence, incentivize, or coerce State adoption of the Common Core State Standards as it relates to state control over standards and states rights to opt out of the Common Core (Section 8544), prohibition of federal mandates, direction or control to incentivize, mandate, coerce or promote the CCSS or any other standards (Section 8526A,) Prohibition of use of funds and endorsement of curriculum (Section 8527) ( as cited in Education and the Committee Workforce, Sept. 2016). It will be interesting to explore the extent of the adoption and use of the CCSS in light of ESSA legislation. While federal initiatives and policy related to the CCSS have been traditionally bipartisan, the CCSS has taken on political overtones with pushback from those on the right and left (Baker, 2014) making it unclear as to what impact a newly elected president will have on its implementation. Literacy instruction must not end when students enter middle school. However, creating cultures of literacy necessitates strong and effective leadership. This study is guided by the literature and research about leadership for school improvement, as well as effective instructional practice. The literature is clear about the need for effective leadership as an essential ingredient in educational reform (Blankstein, 2012; Creating a Culture of Literacy, 2005; Deal and Peterson, 2009; Fullan, 2007; Hoy and Miskel, 2008; Murphy, 2004; Reeves, 2004; Schmoker, 2006; Wagner, 2008; Wahlstrom, Seashore Louis, Leithwood, and Anderson, 2010; Zepeda, 2007). The research on the role of collaboration in school improvement is compelling, particularly around the use of professional learning communities (PLCs). Shirley Hord (1997) is credited with coining the term “professional learning community”. She defined a professional learning community (PLC) as “a school in which the professionals (administrators and teachers) continuously seek and share learning to increase effectiveness for students, and act on what they learn” (p.1). In professional learning communities, teachers learn to work in high performing teams in which collaboration is embedded in routine practices; time for collaboration is built in the school day; team norms guide collaboration; and teams pursue specific and measurable performance goals (Hord, 2004). When a collaborative culture and professional learning communities are in evidence, the research indicates that this leads to high levels of academic achievement. DuFour and Eaker (1998) describe characteristics of professional learning communities that include the following: shared mission, vision, and values; collective inquiry in which community members engage in a collective process of seeking and testing new methods, reflecting on results; collaborative teams in which members learn from one another, thus creating momentum to fuel continued improvement; action orientation and experimentation; continuous improvement; and results orientation through which community members know that their efforts must be assessed on the basis of results rather than intentions. The current study is the second part of a three-year plan to ascertain perceptions over time of Connecticut teachers and administrators regarding the implementation of the Common Core State Standards (CCSS). While the study will not directly benefit participants, the perspectives on implementation of Common Core State literacy standards will inform university literacy and educational leadership professors as to how to enhance university-level curriculum related to the CCSS in a way that addresses needs with models of best practice. The study will inform the knowledge base on how leaders can support large-scale changes. What is the level of awareness on the part of teachers and administrators in Connecticut of the Common Core State Standards (CCSS) in Literacy? What beliefs do teachers and leaders possess relative to the value of the CCSS? What supports are provided by leaders for implementation of standards-based literacy instruction? What types of changes in classroom practice have resulted from the implementation of standards-based literacy instruction? This is a descriptive study. Data are collected over a three-year time period using a survey. During the first year we piloted the data collection tool and collected baseline data from students we served in terms of their understanding of the literacy standards and the supports for, and challenges to the implementation of the standards. In Year Two, the survey was revised and disseminated to all elementary teachers in grades 3, 4, and 5 (6,000 teachers), and all (900) elementary administrators in the state to ascertain perceptions related to use of the CCSS over time. In terms of elementary teacher respondents, the following demographic data was collected: 68% of the respondents taught in grades 4-6, 35% in grades 2-3. Of all teacher respondents, 34% work in an urban setting, 49% work in a suburban setting, and 17% work in a rural setting. And finally, 39% work in a setting in which 25% or less of the students are supported by a free and reduced lunch regulation; 22% work in a setting of more than 76% free and reduced lunch students. In terms of elementary administrator respondents, the following demographic data was collected: 69% serve as school principals, 28% of the respondents serve as assistant principals. In terms of experience, 38% of the administrator respondents have served in that capacity for 1-5 years, 31% for 6-10 years, and 30% for more than 10 years. In terms of work setting, 32% of the leader respondents work in an urban setting, 53% of the leader respondents work in a suburban setting, , and 14% in an urban setting. The survey, originally piloted as a 48-item instrument adapted from the Common Core Feedback Loop and used with permission from the U.S. Education Delivery Institute became a 32-item instrument in Year 2. For the Year 2 survey, two mirror versions of the instrument were again developed: one for educators, and one for educational leaders. Each version had the same number of items, yet the language was altered slightly to reflect the respondents. This instrument was grounded in the Year 1 survey, and adapted from a survey developed by Achieve, the U.S. Education Delivery Institute (EDI) and Education First. Items were also included with permission from the Missouri State Common Core Standards Survey and the Professional Learning Community Survey from the Polk County Public Schools in Florida. Survey items were grouped within five separate categories that included items related to: demographics, awareness of the CCSS, beliefs about the CCSS, preparation for implementation of the CCSS, and impact of the CCSS on instructional practice. In spring 2014, the researchers requested email addresses from the Connecticut State Department of Education (CTSDE) for 6,000 elementary teachers and 900 elementary level administrators. Following approval of the study by the university’s Human Studies Council/ Institutional Review Board, emails were sent to potential respondents asking for their participation in the study. Confidentiality of responses was assured, and the email provided a link to an on-line survey (using SelectSurvey.NET) for respondents to access the instrument. Two follow-up emails were sent to all potential respondents. When access to the survey was closed, the response rate of usable surveys for the elementary educators was approximately 15% and 20% for the elementary administrators. As indicated earlier, this is a descriptive study. Preliminary data analyses have used simple descriptive statistics. We plan to conduct additional statistical analyses on the quantitative data, as well as coding of responses to the final open-ended item. Qualitative data will be analyzed for patterns across questions and participants. In Year 2 of the study, data from responses by leaders and teachers provide useful information to support the investigation of knowledge of leadership practices in support of a culture for literacy in our schools. In particular, preliminary data analysis indicates that educators and educational leaders are addressing the reform initiative that requires the implementation of a new set of learning standards in schools in Connecticut. That said, there does appear to be some variation in perceptions about awareness of the standards and impact on teaching. It must be noted that, as discussed previously in the section on demongraphics, approximately one-half of both the leader and teacher respondents work in a suburban setting, and one-third of both sets of respondents work in an urban setting. That said, we did not tease out responses in terms of demographics. Instead, findings are discussed by the full leader group and the full teacher group. In terms of survey questions related to Awareness of Standards, the data indicate that 64% of the leaders have extensive knowledge and 34% have some level of knowledge about the CCSS. In terms of leader responses, 98% indicate they have read the CCSS, 91% indicate they are aware of the school plan for implementation, and 87% are aware of the district plan for implementation (see Table 1). In terms of teacher responses about awareness, 36% indicated they have comprehensive knowledge, and 59% indicate they have some knowledge. Ninety-eight percent indicate they have read the CCSS and 83% are aware of a school plan and 84% are aware of a district plan. When asked about their beliefs, 81% of the leader respondents indicated they believe that the CCSS will lead to improved student learning for the majority of students. (see Table 2). Reasons provided by leaders for why the CCSS will benefit the majority of their schools’ students include: 88% believe the CCSS are more demanding and raise expectations for student learning; 66% believe the CCSS will help students master key competencies, and 59% believe the CCSS will help the school ensure standards are vertically aligned K-12. In contrast to leader respondents, 47% of teachers indicated that they believe that the CCSS will lead to improved student learning for the majority of students. Reasons provided by teachers for why the CCSS will benefit the majority of their schools’ students include: 82% believe the CCSS are more demanding and will raise expectations for student learning; but 33% believe the CCSS will help students master key competencies; and 33% believe the CCSS will help the school system ensure standards are vertically aligned. It appears that among those who believe that the CCSS will improve student learning for the majority of students, a high number of leaders and teachers believe the CCSS are more demanding and will raise expectations for student learning. When asked if they feel prepared for using the CCSS, 92% of the leaders indicated they feel completely or somewhat prepared. When asked the same question, 78% of the teachers indicated they feel completely or somewhat prepared (see Table 3). 17. Do you feel prepared to teach the Common Core State Standards? When asked what would help them feel better prepared to use the CCSS, 64% indicated teachers should have more collaborative planning time to align curriculum to the CCSS, 62% believed teachers should have collaborative planning time to understand the CCSS, 59% indicated teachers should have access to assessments aligned to the CCSS, and 58% indicated teachers should have access to curricular resources aligned to the CCSS. When asked the same question, 73% of the teachers indicated they should have access to curricular resources aligned to the CCSS, and 52% said they should have access to assessments aligned to the CCSS. Respondents were asked to describe their professional training for implementation of the CCSS. Fifty-one percent of the leaders indicated teachers were engaged in professional learning communities, and 49% indicated teachers were engaged in multi-day training. When asked the same question, 42% of the teachers indicated they had received one day of training, 26% indicated they were engaged in a PLC, and 23% indicated they had received multi-day training. Most training appears to have been provided by a staff member from the respondent’s district. However, when asked if the training had been of high quality, 66% of the leaders agreed that it had, while only 36% of the teachers agreed that it had. Respondents were asked about the culture of the school in relation to support for the CCSS. Both leaders and teachers agree that faculty and staff talk with each other about their challenges (85% of the leaders and 79% of the teachers). When asked if teachers believe that all children can learn at reasonably high levels and that teachers can help them, 67% of the leaders agreed, while 58% of the teachers agreed. When asked if teachers work together to develop shared understanding of teaching and learning, 67% of the leaders agreed that they do, while 52% of the teachers agreed that they do. In response to the question about structures that are in place in their school to support the implementation of the CCSS, 46% of the leaders believe that there is a formal process of regularly scheduled time for educators to engage in on-going self-examination. Only 18% of the teachers agreed that this structure was in place. When asked if they have common space for discussion of education practices, 70% agreed the teachers do have that space, while only 34% of the teachers agreed that space exists. When asked if there are formal structures for teachers to work together (for example, through team teaching), 53% of the leaders agreed there are, while only 22% of the teachers agreed with the statement. When asked if opportunities exist for an exchange of ideas across organizational units, 69% of the leaders agreed with the statement, while only 31% of the teachers agreed. And when asked if teachers have autonomy to make decisions regarding their work, guided by the beliefs of the professional community, 58% of the leaders agreed with the statement, while only 37% of the teachers agreed. When asked about changes that are being made in how teachers are supported in implementing the CCSS, 69% of the leaders indicated there are opportunities for sharing of information and resources, while only 42% of the teachers believe that support exists. Sixty-four percent of the leaders believe there are opportunities for teachers to collaborate with colleagues about the CCSS, while only 38% of the teachers agreed with that support. The data from the CCSS Survey indicate that there are changes in teacher practice as a result of implementation of the standards (Please see Table 4). When asked if their school’s educators are building students’ knowledge through content-rich nonfiction, 80% of the leaders and 72% of the teachers indicated that is happening. And when asked if teachers are providing students with reading and writing experiences grounded in evidence from literary and informational texts, 78% of the leaders and 80% of the teachers indicated that is happening. Finally, when asked if teachers regularly provide students with practice in using complex grade-level text, 61% of the leaders, and 57% of the teachers indicated that is happening. Oddly enough, when asked if teachers are incorporating CCSS into their teaching expectations, 38% of leaders and 33% of the teachers indicated that is happening fully. (30) To what extent are the following shifts in teaching occurring in your classroom? When asked to what extent there are shifts in teaching practices in the classroom, 59% of the leaders and 57% of the teachers indicated teachers structure opportunities for students to have conversations and develop text-based arguments. Seventy-four percent of leaders and 75% of teachers believe teachers are creating learning experiences that build knowledge using informational text. And 61% of leaders and 58% of teachers believe teachers provide instruction in academic vocabulary to support student understanding of complex text. Finally, more than 75% of the leaders and 75% of the teachers believe teachers are implementing a variety of CCSS English Language Arts standards, including: guiding students to read texts closely; guiding students to answer text-dependent questions, and guiding students to notice structural features of texts. In considering data that addresses Research Question #1 (What is the level of awareness on the part of teachers and administrators in Connecticut of the Common Core State Standards in Literacy? ), responses by educational leaders indicate their overwhelming belief that they are knowledgeable about the CCSS standards. Similarly, teachers are knowledgeable about the standards, though more believe they have some knowledge, as opposed to full knowledge, like the vast majority of leaders. teachers and leaders possess relative to the value of the CCSS? ), a preliminary examination of the data indicates that leaders and teachers appear to hold some significantly different beliefs. Most notable are strongly held leader beliefs that the CCSS will lead to improved student learning. Less than 50% of the teachers agreed with this and 39% of them disagreed with this statement. This is a critically important difference that will need to be addressed. Additionally, 83% of leaders and 55% of teachers believe the CCSS will help teachers know what content to teach. Further, 66% of leaders and 33% of teachers believe the CCSS will help students master key competencies. Beliefs influence school and organizational culture. Significant school improvement will be very difficult to implement effectively if values and beliefs- the core of school culture- are not addressed. This is consistent with the research on professional learning communities (e.g. DuFour and Eaker, 1998; Hord, 1997, 2004). In order to support school improvement efforts, leaders must ensure a shared vision, norms, beliefs, and values around the effort. When reflecting on data that addresses Research Question #3 (What supports are provided by leaders for implementation of standards-based literacy instruction? ), a preliminary examination of the data appears to indicate that leaders are engaging teachers in a variety of activities. Leaders and teachers agree at high levels that there are opportunities for faculty to talk with each other about challenges and situations. However, this is a clear discrepancy between leader and teacher perceptions about structures that are in place to support teacher implementation of the CCSS. In particular, these discrepancies appear in the areas of: teachers having common space for discussion of education practices, opportunities for exchange of ideas across organizational units, and teacher autonomy. Elmore (2004) outlined key principles for school improvement, including the notion that leaders provide opportunities for collaboration activity related to the CCSS implementation. While leaders appear to believe those opportunities exist, they would be well-served to be clear with teachers about where those opportunities exist. Even when asked about opportunities for collaboration among teachers, teacher and leader perceptions are uneven. While 64% of the leaders believe they provide opportunities for collaboration about CCSS, only 38% of the teachers believe those opportunities exist. It would be expected that over time opportunities to collaborate in professional learning communities would increase, or engagement in existing opportunities would expand, since these supports are key components of the State Department of Connecticut’s strategic plan. Clearly, leaders should consider additional ways of supporting teachers in this critical school improvement effort, a requirement consistent with the research and literature (Creating a Culture of Literacy, 2005; Murphy, 2004; Reeves, 2004; Schmoker, 2006; Wahlstrom, Seashore Louis, Leithwood, and Anderson, 2010). Surveys revealed that the majority of teachers and leaders are aware of, and supportive of the major shifts in the CCSS that include 1) building student knowledge through content-rich non-fiction; 2) providing students with reading and writing experiences grounded in evidence from literary and information text; 3) providing regular opportunities for students to practice with complex grade-level text; and 4) facilitating evidence-based conversations. While this is a positive finding, clearly, professional development will be needed to support the shifts and to help teachers decide the conditions under which these practices are most appropriate. When looking at responses that address Research Question #4 (What types of changes in classroom practice have resulted from the implementation of standards-based literacy instruction? ), the preliminary data appear to indicate that leaders and teachers agree at fairly high levels that the CCSS are being implemented in classroom practice. teachers and leaders believe at levels over 75% that teachers are doing the following: guiding students to read texts closely, guiding students to answer text-dependent questions, guiding students to draw on evidence in their writing, and guiding students to notice structural features of text. Continue to support the development of PLCs during which educators can share best practice and learn from and with each other. Engage in school-wide reflection on core values and beliefs, particularly related to the CCSS. Have a clear professional development plan in place that includes job-embedded learning opportunities and time for collaboration. Provide a range of resources to implement the shifts particular to nonfiction, along with other CCSS aligned materials and assessments to inform instruction. Provide opportunities for teachers to sort out the misconceptions that abound and provide opportunities that take into account differentiating instruction so that this initiative can address the needs of all students. There is little argument that educators in American schools need to prepare students to participate in a global society. In particular, there is a consensus that this need extends especially to reading/ language arts, or literacy, and mathematics. With relation to building more effective opportunities for students to build upon their literacy capacity, the primary question is, are leaders creating a culture or environment for enhancement of literacy? Preliminary data from the current study point to the fact that schools and school leaders do seem to be headed in a positive direction. There is still much room for additional and extensive support in order for this initiative to take deep root. instruction: A review. Paper presented at Paper presented at the Annual Meeting of the International Reading Association (29th, Atlanta, GA, Retrieved from ERIC database (ED248456). The New York Times. Retrieved from http://www.nytimes.com/2014/02/17/nyregion/new-york-early-champion-of-common-core-standards-joins-critics.html?_r=0. Blankstein, A. (2012). Failure is not an option: Six principles that guide student achievement in high-performing schools (3rd ed.). Thousands Oaks, CA: Corwin Press. promises. San Francisco, CA: Jossey Bass. DuFour, R. & Eaker, R. (1998). Professional learning communities at work: Best practices for enhancing student achievement. Bloomington, IN: National Educational Service. Education and theWorkforce Committee (Sept. 2016). Moving in the Right Direction. Performance. Boston, MA: Harvard Education Press. Fullan, M. (2007). Leading in a culture of change. San Francisco, CA: Jossey Bass. Hord, S. M. (1997). Professional learning communities: What are they and why are they important? Issues…about Change, 6(1), 1-8. Hord, S. M. (2004). Learning together, leading together: Changing schools through professional learning communities. New York: Teachers College Press. and practice, 8th ed. Boston, MA: McGraw Hill. Ingersoll, R., Merrill, L. & May, H. (2016). Do accountability policies push teachers out? Murphy, J. (2004). Leadership for literacy: Research-based practice, PreK-3. Thousand Oaks, CA: Sage. National Reading Panel. (2000). Report of the National Reading Panel: Teaching children to read. Report of the subgroups. Washington, DC: U.S. Department of Health and Human Services, National Institutes of Health. literacy: A guide for middle and high school principals. Reston, VA: NASSP. take charge. Alexandria, VA: ASCD. Shanahan, T. (2011). Education policy and the language arts. In D. Lapp & D. Fisher (Eds.) Handbook of Research on the English Language Arts, 3rd edition. New York: Routledge. Schmoker, M. (2006). Results now: How we can achieve unprecedented improvements in teaching and learning. Alexandria VA: ASCD. middle and high schools: A guide for principals. Portsmouth, NH: RMC Research Corporation, Center on Instruction. Wahlstrom, K.L., Seashore Louis, K., Leithwood, K., & Anderson, S.E. (2010). Learning from leadership project: Investigating the links to improved student learning. University of MN: Center for Applied Research and Educational Improvement. Zepeda, S. (2007). The principal as instructional leader: A handbook for supervisors. Larchmont, NY: Eye on Education. This investigation examined the impact of teacher-modeled instructional discourse on student accountable talk within content areas of our K-2 classrooms and library media. It made use of explicit instruction and modeling to encourage accountable talk across grade levels and settings. Teachers noted how student engagement and understanding increased when the conversational flow was less teacher directed and multi-directional between and among students as well as between teacher and students during learning. During the course of this research participating teachers used self-assessment and group reflection to inform instruction as well as careful planning, rich literature, modeling, and sentence stems throughout their lessons in reading and language arts. Through a gradual release model, the students became more independent in their conversations. As the research continued, they incorporated student discourse opportunities into other content areas such as math, writing, science, and social studies. A major finding in our research was the importance and value in providing time for student academic discourse to think critically and obtain new learning. Breaking the Initiate, Response, Evaluate, Pattern: Let Them Talk! Traditionally, discussion in the classroom is comprised of teacher initiation, student response, and ending in teacher evaluation which perpetuates the Initiate, Response, Evaluate (IRE) pattern (Mehan, 1979). In contrast, accountable talk within the classroom is significant because students are expected to participate in purposeful interchanges in which meaning can be developed, strengthened, revised, and extended. With the shifts in Common Core students need to share and articulate their thinking as well as listen to their peers. By incorporating accountable talk in the primary grades, we are creating a foundation for future rigorous learning and everyday social interactions. Oftentimes, classrooms have more teacher talk than student talk, however, students can become independent thinkers and thoughtful responders through opportunities to engage in discourse. Accountable talk is an opportunity for educators to make shifts in their instructional discourse patterns to impact academic gains and student learning. The seminal work on the functions of language in the classroom (Cazden, John, & Hymes 1972) launched a new direction for inquiry into language and literacy learning. Historically socialization and language acquisition had been considered separate entities. Then Vygotsky’s notion of instructional oral scaffolds played a critical role in the development of theory and research on language and literacy learning. Through dialogue and associated nonverbal interactions, teachers provide assistance to learners by modeling higher levels of conceptual and communicative competence within their zone of proximal development (ZPD). Scaffolding strategies like directive and supportive techniques provide assistance to students in attaining higher levels of language and literacy learning. Directive scaffolds parallel the direct instruction or skills-emphasis model of instruction (Pressley, 1998; Pressley & McCormick, 1995). Direct teaching is a straightforward, explicit teaching technique. Supportive scaffolds are learner-centered instruction that value learning as a search for understanding, provide opportunities for responsive feedback, and view the educational process as occurring within a community of learners (Bransford, Brown, & Cocking 1999). Supportive scaffolds mirror Vygotskian theory that holds to the idea that what learners are able to do today with assistance within their ZPD, they will be able to do tomorrow independently (Vygotsky, 1962). The basic form for instructional conversations integrates listening, speaking, reading, and writing as tools of inquiry. Instructional conversations, when organized by thematic units, include activation of background knowledge (Goldenberg & Patthey-Chavez, 1995), and support development of new educational concepts. Through collaborative conversations, students invest in their own learning, seeking out challenging concepts in order to “form, express, and exchange ideas in speech and writing” (Tharp & Gallimore, 1998, p. 23). Over the past three decades, there has been much research done on how peers influence one another’s learning. Teachers can allow for peer learning by using many different approaches such as cooperative reading and writing groups, conservation groups, questioning the author, and literature discussions (Webb & Palincsar, 1996). According to Cuban (1984) in his book Teaching at the Turn of the Century, student-centered instruction existed in two forms. A practical form existed in one-room classrooms where students were permitted to work cooperatively, and there was tolerance of student movement due to conditions such as the lack of materials and an intuitively flexible teacher. Educational reform brought about by the work of people like John Dewey, Edward Sheldon and Francis Parker was responsible for the second form where the child was the focus of instruction. The label “object teaching” concentrated upon the experiences of children included language in order to develop their powers of reasoning. In a more current study, Eliciting Student Thinking in Elementary School Mathematics Classrooms, Franke (2007) and colleagues examined details of teacher practice that support students as they attempt to make their mathematical thinking explicit. They did this by looking at the types of questions teachers ask and the responses students gave. The types of questions included general questions, specific questions, probing sequence of specific questions, and leading questions. By encouraging students to think out loud, teachers can use what they learn to inform their teaching and students can help each other by sharing strategies. Through description, explanation, and justification of one’s thinking, students are able to internalize principles or discover areas of misunderstanding. Teachers can also help other students by revoicing the student shared strategy. In the conclusion of the report, Franke (2007) and colleagues noted that asking follow-up questions is necessary but not sufficient to insure that students articulate complete and correct strategies. Integrating accountable talk into classroom discourse is related to the social organization of the classroom. Based on the original work of Mitzel (1960, as cited by Dunkin & Biddle, 1974) a model of teacher effectiveness was necessary in order to capture the interactions between teaching and learning. The traditional conception of the classroom indicates that the role of the teacher is at the front of the class, while the responsibility of the student is to answer when called upon by the teacher. This traditional structure and organization of the classroom assumes that the classroom life is simply made up of the teacher being the questioner and students answering those questions (Mehan, 1979). Students want to participate and be accountable for their own learning. When students are involved in student centered classrooms, the social organization of the classroom includes organizing their course of study and deciding the length of their study (Mehan, 1979). Therefore students and teachers are interconnected through verbal and nonverbal discourse such as hand raising to speak or a head nod to acknowledge who speaks next (Byers & Byers, 1972; Erikson & Shultz, 1977). Overall, “Teachers and students work in concert to create this organization” (Mehan, 1979, p. 10). It is important to notice the patterns in teacher-student interactions in order to enhance accountable talk in the classroom. Teachers can reflect on their own discourse practices to inform themselves as to how information is delivered to and practiced by students. In a seminal study on classroom discourse, Mehan (1979) suggested that the classroom interaction was lost in the Flander’s system of tabulation; therefore, Mehan (1979) observed interaction between the student and teacher through initiations, replies, and evaluations (IRE) during the opening and conducting of the lesson. The initiations produced an answer and immediately after a reply, Mehan (1979) found that the teachers positively or negatively evaluated the reply of the student. His findings suggest that evaluation plays a significant role in instructional discourse. Students, alongside teachers, must be accountable to the learning community, accountable to accurate knowledge, and accountable to rigorous thinking. This type of accountability will not happen if students simply participate in the initiate-reply-evaluate sequence of a traditional classroom. Eeds and Wells (1989) conducted a different study with multiple groups that focused on the students and their conversations with peers, rather than the questions put forth by the educator in scheduled small groups. “According to Vygotsky, the internal development processes that are necessary for learning are only able to develop when children are interacting with people in their environment and in cooperation with their peers” (as cited in Eeds & Wells, 1989, p. 6). Using novice teachers, heterogeneous literature study groups, and various texts, researchers in each group were able to observe the transformation as students shifted away from the traditional IRE pattern and became an integral part of a group discussion centered on a particular text. Students took risks and openly shared their reactions the literature evoked while reading. Clearly, formats which go beyond traditional question/response interaction and allow students to initiate talk or engage in more autonomous talk are necessary if students are to learn how to do certain things with words—make polite requests, show interest, explain their needs, decide what to talk about, or change topics.” (Knutson, 2001, p. 1141). “There is no assumptions that there is one single correct answer or one single way to apply a strategy” (Pearson & Gallagher, 1983, p. 37). A variation in response is expected and should be encouraged. Rather than providing corrective feedback in which the teacher gives the correct answer or strategy when a student fails, a teacher should provide suggestive feedback. In this model, a teacher would praise the student for applying parts of the strategy correctly and encourages the student to examine other strategies that could be used to attack the problem. This type of feedback would help students to learn how to successfully apply multiple strategies to the same problem, which would allow the students to learn that every answer can be found in a variety of ways. Through monitored and student initiated conversations, the students were praised and the teacher modeled another question (Palincsar & Brown, 1986). Providing students with suggestive feedback and times to participate in conversations allows students to become more active participants so they can construct meaning and improve their understanding. Guided practice works together with reciprocal teaching in that the teacher and students are working together with the single goal of understanding the text. Through using guided practice and a gradual release of responsibility, the teacher is able to explicitly teach reading strategies and appropriate ways to independently apply such strategies. As time goes on, the teacher slowly steps back and allows the students to practice these strategies with guidance and support. This element is also the most critical stage (Pearson & Gallagher, 1983). Finally, the students are expected to use these strategies independently across multiple texts. An element of guided practice is similar to reciprocal teaching in that the students are taking on the role of the teacher, but the teacher is still there to switch roles and to monitor student progress and provide guidance. How do selected interventions impact student accountable talk? How can we incorporate student accountable across content areas? This qualitative study considered what happened when teachers planned for and provided explicit modeling and instruction of accountable talk. The intervention consisted of increasingly integrating accountable talk across content areas such as reading, writing, math, science, and social studies throughout the day. Teachers planned for this discourse to occur in the lessons where talk moves, as described by Wolf, Crosson, & Resnick (2006) were modeled in the areas of accountability to the learning community, accountability to accurate knowledge, and accountability to rigorous thinking. The components that were measured were teacher perspective on integration of accountable talk and student use of conversation starters. Baseline data was collected and additional data was analyzed to measure growth over time. Opportunistic or emergent sampling was employed to select the participants; this involved about 360 students spanning three grade levels including kindergarten, first grade, and second grade as well as library media. Participants were drawn from five different schools representing urban and suburban contexts. 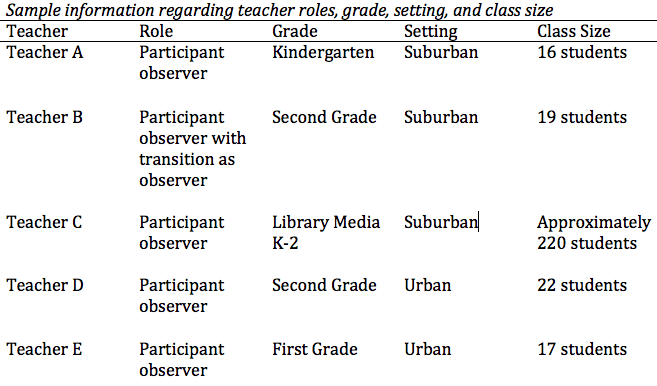 Teachers served in the role of participant observers in their respective classes and in one instance the researcher transitioned from participant observer to solely an observer when a student teacher assumed responsibility for her classroom (table 1). Students at the primary level were chosen to be the sample because of the shifts in the Common Core and the importance of speaking and listening to prepare students for college and career readiness. As teachers of children at the primary level, our goal was discover ways to establish a foundation for accountable talk. Students were expected to elaborate, justify, clarify, and support ideas with relevant details and examples from text, personal, or real world experiences across all content areas. Baseline Data. Before starting our research, we wanted to complete a self-assessment to get baseline data in order to determine what areas we needed to work on. In order to do this, we tallied each time we allowed for accountable talk during the academic day by reflecting on our anecdotal notes. Researchers met weekly and conducted ongoing analysis of the effective implementation of talk move or strategies in which we would modify our understandings and identify patterns across classrooms. To ensure data collection consistency across classrooms, researchers discussed and clarified the strategy for prompting to ensure that teachers were only tallying when they had to prompt students based on their behavior. Additionally, more categories of talk moves emerged in our ongoing analysis as we discovered students using other talk move stems that might not be on our tally sheet but still required rigorous thinking. We collected data using various forms throughout the eight weeks. Data sources included anecdotal notes, talk moves and strategies checklist. Anecdotal Notes Template. Our instrument to obtain information was primarily the field notes (see Figure 1) recorded by each researcher individually. We created the field notes organizer based on our two focus questions. When the researcher was a participant observer, they made small notes on post-its to keep track of their reflections during the teaching and then transferred those thoughts onto the field notes in a more extensive reflection at the end of the school day in all content areas. Some researchers became non-participants throughout the study, therefore these researchers kept field notes through the duration of the lessons that provided opportunities for accountable talk. Anecdotal notes were also taken when reviewing checklist data. These notes were analyzed in order to recognize any themes within the study. Talk Moves Checklist. A Talk Moves checklist (See Figure 2) was adapted from Accountable Talk in Reading Comprehension Instruction, (Wolf, Crosson, & Resnick, 2006). The Talk Moves checklist recorded the teacher/student accountability to the learning community, accountability to accurate knowledge, and accountability to rigorous thinking during the lesson. This checklist provided researchers with specific sentence stems for teacher linking and student responses. Strategies Checklist. A strategies checklist (See Figure 3) was compiled from ideas and concepts that were found in research articles that support best practice. The checklist was designed to track teaching strategies used by the researchers, such as, planning, wait time, visuals, pairing for success, monitoring for accountable talk, and teacher prompting. These strategies were tallied based on number of times used in each subject area. After selecting our topic it was important to determine our baseline data. This data would provide the researchers with valuable information as far as the areas in which to increase instruction and to promote accountable talk. In order to do this, the researchers tallied each time they provided an opportunity for accountable talk. They also took anecdotal notes on anything they noticed or found relevant while teaching. We discovered how little we actually allowed for students to be discussing their thoughts and learning. Through this individual and group self-assessment, it was noted that accountable talk does not come naturally into a lesson. According to the baseline data, accountable talk was included solely during interactive read alouds. We, as teachers, were only asking for rigorous thinking during guided reading groups or in the literacy block. Across all classrooms in this study, accountable talk did not occur in other content areas as it was not planned for in the lessons. Turn and talk is one activity that has been included in the literacy block in the k-2 classrooms of this study. Turn and talk was used but behaviors and how to talk were not explicitly modeled or discussed. The teachers stayed in the teaching chair and listened from afar and would have students individually share what they had shared with their partner. As the teachers observed this activity, it was noted that some students quickly turned to the person next to them while others were unwilling to turn and talk to the person next to them. The teachers also noticed that students didn’t always understand what they were being asked to discuss or just were off task. Data showed there was very little time set aside for the students to turn and talk to a partner or to work with their peers to gain understanding of a text. The average time allotted for the reading mini lesson was approximately 25 minutes. During the mini lessons teachers spent about twenty minutes or more talking. This means that for at least 50% of the lesson the students were sitting passively and were not fully engaged in their learning. The teacher did not ask students to support their ideas with evidence based on the text. Instead a question was posed and a student was called on to answer. In a typical lesson, only six to seven students were called upon. This perpetuated the initiate, reply, and evaluate (IRE) pattern of teacher and student interactions. We were clearly stuck in the pattern of asking a question of students in the whole group setting and responding to that student directly to confirm that their answer was correct or incorrect. We were not using teacher linking or teacher moves to help students talk to each other or helping students develop their own thinking. In general, teachers were dominating the talk in the classroom. Much of the time spent with students consisted of students listening to instruction, evaluation, and redirection. Because we were not purposely planning accountable talk, we were constantly falling back into the IRE pattern. While there were anchor charts posted and referred to in the classroom, they did not always encompass expectations or sentence stems for student discourse. It really became another decoration on the wall. The importance of this preliminary data set the stage for the rest of the study. In our ongoing and formal analysis of the data, there were individual findings as well as five key findings across contexts. This study took place in 5 separate classrooms spanning grades k-2. Three suburban and two urban settings were included in this study. It is important to note that there were four grade level classrooms and a library media specialist that serviced students across grades k-2. While each of the classrooms were in different districts, there were some similarities in the level of support, structure of content area lessons, and individual student needs in the classroom (see table 2). Over the course of the eight week study, consistent themes were found in the triangulation of data across settings. The first theme was that gradual release of responsibility gave the teachers a framework in which to purposefully plan for accountable talk across all content areas. The lesson plan made use of the original framework of “I do”, “we do”, and “you do”. We then incorporated “you do together” component as part of the gradual release of responsibility in the workshop model. The “you do together” aspect of the lesson incorporated the accountable talk between the students before they engaged in independent practice. This purposeful planning made accountable talk an imperative part of the lesson development and implementation. As we made the time for accountable talk, the student participation increased which was documented on the talk moves checklist. It was also noticed in the field notes and strategy checklist results that fewer behaviors needed to be addressed and students asked fewer questions during the independent practice as their partner talk was facilitated by teachers before they worked on their own. Furthermore, teachers reflected that it was apparent that when they did not purposefully plan for accountable talk as there was limited student participation during the lesson. All teachers across settings commented that it was very easy to fall back into the IRE pattern of questioning when the “you do together” was not a part of the lesson plan or when the teacher felt pressed for time in the curriculum. Alongside purposefully planning the integration of accountable talk in the workshop model or read aloud format, teachers reflected on the importance of selecting rich literature to facilitate discourse. Choosing a rich text led teachers to purposefully plan more thoughtful questions. Using literature that lends itself to deeper discussions, allowed the academic discourse to be more powerful because it provided opportunities for students to share various perspectives and opinions. Thus, student engagement increased as they explored their own positions and had consistent opportunities to respond to others’ thinking through linking statements. Alongside explicit modeling, the teachers utilized anchor charts to support student learning and referred to them across content areas. The more that we incorporated anchor charts and referred to them throughout the lesson as well as during the day, the more the students used them in their conversations. Students would often look at the behavioral expectations and sentence stems posted to frame their academic discourse. When anchor charts were not provided during turn and talk conversations, students were rarely on topic and the conversations were short lived. In contrast, when anchor charts were provided it was noted in the field notes that the conversations stayed on topic as students asked clarifying questions or extended one another’s thinking. We attributed this positive change to explicit modeling and to the use of a visual reminder of the expected sentence stems provided on the anchor chart. Also as we became accountable to the community by linking ideas, the students followed suit and increased their linking of ideas. It appears that this occurred because students were hearing the linking of ideas modeled by the teachers in the prompts and questions posed, and they were also provided with sentence stems on the anchor charts for use in conversations with peers. The anchor chart not only held benefits for students, but were also held advantages for the teachers. We had the talk moves checklist close by during whole and small group lessons. These sentence stems and questions guided us to be accountable to the community, accountable for accurate knowledge, and rigorous thinking of students. It was observed by all teachers that the more we used the sentence stems on our mini anchor charts, the more comfortable we felt using them. As the weeks progressed, the talk move sentence stems became a part of our teacher discourse and didn’t feel as forced or unnatural. Overall, the gradual release of responsibility, anchor charts, and explicit modeling of behaviors and sentence stems enhanced student discourse in the classroom. However, it is important to note that daily reflection of one’s practice aided the teachers in the implementation of accountable talk across content areas. Collecting data through the anecdotal notes and talk moves checklist was helpful in allowing time to concentrate on what the teacher was doing in the classroom and its impact on the students. Taking that time each day to reflect and generate ideas on how to improve for the next day was beneficial to teaching and learning, as it often times surrounded the idea that everything needed to be purposefully planned and modeled frequently. As the researchers looked closely at the common core speaking and listening standards, discussions centered on our common findings in the primary grades. As a whole, we found that students do not come into a grade level just knowing how to respectfully have academic discourse. From the very beginning they need lots of explicit modeling ranging from how to start, continue, and end conversations. The physical set-up of the classroom, the use of strategies such as teacher modeling, fish bowl activities, and videotaping so students can see what good academic discourse looks like and sounds like are some of the effective ways to support student discourse. In order to build student confidence it was critical that all students’ thoughts were validated. As teacher researchers did this, their students felt safe in discussing their ideas. One theme that was found across contexts through ongoing analysis and triangulation of the data sources is that gradual release of responsibility allowed the students to build independence through facilitating accountable talk. When purposefully planning for lessons the teacher researchers followed the gradual release of responsibility where the teacher models their thinking to solve or work through a concept (“I do”). Then the students actively participate in the thinking and conceptual understanding alongside the teacher (“we do”). The teacher then incorporated partner work where students practiced the skill/concept, but the teacher became the facilitator and listened into conversations (“you do together”). This is where many anchor charts were used to encourage accountable talk and sentence stems to support academic discourse. Finally, the students were sent off to independently practice (“you do”). Organizing and structuring lessons with the gradual release of responsibility in mind aided teacher researchers to have a foundation and a conscious space to include accountable talk across content areas. As the teacher researchers gradually released responsibility it was noticed in the weekly ongoing analysis that prompting for student behavior decreased as the explicit modeling through the gradual release increased. Teacher researchers were able to facilitate and check for understanding during the “you do together” which allowed the teacher researchers to identify students who needed more support before the independent practices. Therefore, students felt more confident about the content before working independently since they had the “you do together” with teacher facilitation to ensure success before they were on their own. Alongside fostering independence in students, the gradual release of responsibility embedded accountable talk in the lessons. This allowed students more exposure and practice with academic discourse. Students were actively engaged in the “you do together” portion of the lesson which gave them more opportunities to explore and explain their thinking to a peer. As students became more comfortable with academic discourse through the gradual release, they learned how to respond to and respect multiple perspectives that may be similar or different than their own. This fostered the importance that everyone’s voice is important and each idea is valued. Overall the gradual release of responsibility gave teacher researchers a framework to make accountable talk a priority in the classroom, which in turn gave students the opportunity to take ownership of their learning. While the strategies the teacher researchers used during the research were not new, all agreed they were important to the success of encouraging academic discourse among the students. As the study progressed, it was found that anchor charts and visuals were necessary to help reinforce behaviors conducive to rich conversations. Depending on the grade level, the charts were designed to meet the needs of the students with lots of visuals at the kindergarten level and an increasing amount of text as the grade level went up. It was also found that displaying the sentence stems around the room and even putting them in the middle of a table while the students met, encouraged them to begin their conversations and respond to their group members. To encourage all students to participate and have enough time to think about their responses, wait time was another strategy on which the teacher researchers focused. One of the most important things we needed to do was to plan for the academic conversations to occur. Choosing the right book that lends itself to higher order questions during the reading lesson and planning where to stop to allow for the students to pair and share was key. Finally, teacher prompting for the behaviors being encouraged as well as monitoring for accountable talk was a shift the teacher researchers had to consciously focus on in order to bring about the changes they were hoping to elicit in themselves as teachers and in their students. The fourth realization researchers made was the conscious planning for student discourse and self-assessment. A tip all researchers found to be helpful is to be purposeful in your pairing of partnerships. We suggest that teachers use their knowledge of students to pair them up into partners. Depending on the activity, teachers might consider partnering students at different levels, while other activities might call for partnering students at the same level. Plan ahead and have these groupings in mind before teaching. Planning this ahead of time will also help with behavior management. Make discourse a priority in your planning. If you don’t plan for it, it will not occur or will not occur as smoothly. Start with a content area with which you are comfortable. The classroom teachers found the language arts block to be the best area to start. Slowly, the researchers introduced accountable talk in the other content areas. Do not let the IRE pattern sneak up on you! It’s very easy to slip back into this pattern. Self-assessing through the use of checklists and anecdotal notes allowed all researchers the ability to reflect daily and guide future purposeful planning for student discourse. Celebrate your successes often and use what didn’t go so well as a learning tool. It is important to understand that accountable talk provides many benefits to the teacher and the learners, including the culture of respectful and responsible students. The use of polite sentence stems and the frequent practice of respectful dialogue help to shape the community created in the classroom. This community becomes filled with students that take ownership of their learning and are not afraid to take risks in the classroom. Students feel more comfortable trying a new concept or expressing themselves publicly. They have more to contribute to the classroom discussion and want to share their thoughts and ideas with peers. By allowing for this type of student dialogue, students are learning how to agree and respectfully disagree with varying viewpoints. In order for this community to flourish, we suggest that teachers listen more attentively to their students. The students have a voice and what they have to say is important. As teachers, we pride ourselves on what we are able to communicate to our students, but it is unlikely that we listen to everything they want to share. Since all aspects of accountable talk should be modeled, it is critical to keep in mind that modeling the listening component is just as important as the sharing. Incorporating accountable talk across content areas in k-2 classrooms supported the teacher in moving away from the IRE pattern. This in turn developed students who were more engaged and willing to take ownership of their own learning. Across all classrooms, students and teachers made progress in adapting and internalizing accountable talk across content areas. As teacher talk moves increased in linking ideas, ensuring accountability for accurate knowledge, providing information, and asking questions that invite rigorous thinking, student talk moves increased as well. The more the teacher used visual charts, sentence stems, and explicit modeling of academic discourse, teacher prompting for on task behaviors decreased over the eight week period. Purposeful planning was integral to our success in promoting accountable in our classrooms. Preparation of higher order questioning resulted in meaningful student-led conversations. Additionally, we attribute our successful implementation of accountable talk in our classrooms to the presence of wait time paired with less teacher talk. Overall, strategies such as planning, wait time, visuals, pairing for success, monitoring, and explicit modeling alongside talk moves (sentence stems) enhanced student discourse. Because this research project demanded a major shift which involved decreasing the amount of teacher talk and increasing the amount of student talk, the weekly group meetings helped to support these shifts. As we openly shared our successes and failures we were able to give each other ideas from week-to-week. In the end, we considered the time we had to reflect and collaborate was key to the success of our work. In light of the results of this study we have the following recommendations for educators to incorporate accountable talk in the classroom. It is important to be cognizant of the amount of teacher talk versus student talk that is occurring in your classroom. For example, check the clock at the beginning and end of your teacher talk. Are you allowing students to discover concepts through peer discussions? We suggest that teachers make accountable talk a priority by embedding it into the lessons. Diligently planning for accountable talk and including the steps of gradual release of responsibility (I do, we do, you do together, and you do) is crucial to success. This will provide a framework for your thinking and will make accountable talk manageable in the classroom. We encourage teachers to willingly give up control in order to let your students lead the conversation and build on each other’s ideas. This will take time and patience from both the teacher and students. Take one subject at a time and choose a content area you are most comfortable in to begin. As you begin, realize teachers have a role in accountable talk as a facilitator. It is beneficial to have the talk moves chart readily available to be mindful of the ways in which we can guide and support students in student-led conversations. To enhance student discourse, post sentence stems around the room and refer to them before, during, and after lessons. Anchor charts with sentence stems are to be actively used as teaching tools and are not merely decorations. At the conclusion of your day, reflect upon your own teaching. This can be done by having literacy coaches observe your teaching, or perhaps by videotaping or audio taping your lessons for your personal review. Opportunities for group self-reflection are key to your success, so if possible, work with your grade level team and plan weekly times to share insights and ideas. The strongest environment for developing accountable talk in the classroom is a school-wide initiative with supports in place to model and guide teachers through the process. This will promote common language and expectations vertically across all the grade levels. Schools should be places of rich learning and rich talk. Franke, M. L., Webb, N. M., Chan, A., Battey, D., Freund, D., & De, T. (2007). Eliciting student thinking in elementary school mathematics classrooms. CRESST Report 725. National Center for Research on Evaluation, Standards, and Student Testing (CRESST). Brown, A. L., & Palincsar, A. S. (1987). Reciprocal teaching of comprehension strategies: A natural history of one program for enhancing learning. In J. D. Day & J. G. Borkowski (Eds. ), Intelligence and exceptionally: New directions for theory assessment, and instructional practices (pp. 81-132). Norwood, NJ: Ablex.Brown. Byers, P. & Byers, H. (1972). Non-verbal communication and the education of children. In C.B. Cazden, V. John & D. Hymes (Eds. ), (1972). Functions of language in the classroom. New York: Teachers College Press. Cazden, Courtney B. (1988). Classroom discourse: The language of teaching and learning. Portsmouth: Heinemann. Cazden, C.B., John, V., & Hymes, D. (Eds.). (1972). Functions of language in the classroom. New York: Teachers College Press. Cuban, L. (1984). How teachers taught: Constancy and change in American classrooms, 1890-1980 (1st ed., pp. 44 – 50). New York: Longman. Dunkin, M. J., & Biddle, B. (1974). The Study of Teaching. New York: Holt, Rinehart and Winston. Eeds, M., & Wells, D. (1989, February). Grand conversations: An exploration of meaning construction in literature study groups. Research in the Teaching of English, 23 pp. 4-29. Erikson, F., & Shultz, J. (1977). When is a Context? ICHD Newsletter, 5-10. Goldenberg, C., & Patthey-Chavez, C. (1995). Discourse processes in instructional conversations: Interactions between teacher and transition readers. Discourse Processes, 19, 57-73. Knutson, E. M. (2001, May). Fostering student-student interaction in a whole group setting. French Review: Special Issue on Pedagogy 1138-1151. Palincsar, A.S., & Brown, A.L. (1984). Reciprocal teaching of comprehension-fostering and comprehension-monitoring activities. Cognition and Instruction, 1, 117-175. Palincsar, A.S. & Brown, A. L. (1986). Interactive teaching to promote independent learning from text. The Reading Teacher, 39(8). 771-777. Pearson, D. P. & Gallagher, M. C. (1983). The instruction of reading comprehension. Urbana-Champaign: University of Illinois. Pressley, M., & McCormick, C. (1995). Cognition, teaching, and assessment. New York: HarperCollins. Probst, R. E. (1986). Three relationships in the teaching of literature. English Journal, 75, 60-68. Tharp, R.G., & Gallimore, R. (1988). Rousing minds to life: Teaching, learning, and schooling in social context. Cambridge, UK: Cambridge University Press. Webb, N., & Palincsar, A. (1996). Group processes in the classroom. In D.C. Berliner & R.C. Calfee (Eds. ), Handbook of educational psychology (pp. 841-873). New York: Simon & Schuster. Wilkinson, L.C., & Silliman, E.R. (2001, February). Classroom language and literacy learning. Reading Online, 4(7). Vygotsky, L.S. (1962). Thought and language. Cambridge, MA: MIT Press. Kathleen Flaherty recently retired from Hop Brook Elementary School in Naugatuck where she taught library media and reading. 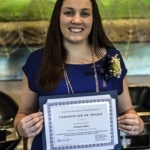 She received her bachelor’s degree in Elementary Education in 2006 and her Masters in Reading and Language Arts in 2013 from Central Connecticut State University. 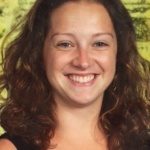 She now lives in Maryville Tennessee where she plans to continue her career as a teacher of reading. Monique Golden second grade teacher in East Hartford, CT. I have been teaching in the district since January 2013. I have taught in grades 1, 2 and 5. I received my Master’s degree in reading and language arts at CCSU in 2014. I enjoy teaching students the joys that come from reading! Amanda Lynch graduated with her degree in education in 2009 from Central Connecticut State University. She completed her masters in Reading at Central Connecticut in 2015. She currently teaches kindergarten in Plainville and has been there for the past 5 years. 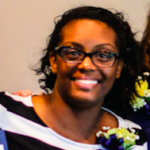 Jasmine Rudd currently teaches second grade in Gwinnett County, Georgia. She received her Masters degree in Reading and Language Arts at CCSU. She is also in the process of going back to school to further her education and better serve students in her community. 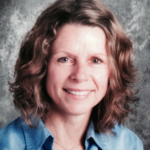 Alicia Wetherbee is currently a K-5 reading consultant in the Manchester Public School System. Previously she taught first, second, and fourth grade. Alicia graduated with her Masters in Remedial Reading from CCSU and is currently enrolled in CCSU’s doctoral program for educational leadership.